The founder of Southwest Saw Corporation, Charles L. Cook, started his business as a sole proprietor in 1944. He started with a grinding wheel, a portable typewriter, and a list of prospective customers. After two years, Southwest Saw had a shop building with all of the necessary equipment to produce sharp meat cutting edges, ten employees and serviced most of the Texas area. The company expanded by acquiring other small businesses in Texas, Oklahoma, and Colorado. The business was incorporated in 1962 and now serves customers in Arizona, Louisiana, New Mexico, Oklahoma, Mississippi and Texas. The growth of the business has been due in large part to dedicated, hard-working individuals who place customer satisfaction first, above all else. Southwest Saw now has twenty-eight full time employees ready to serve the needs of the meat-cutting industry. 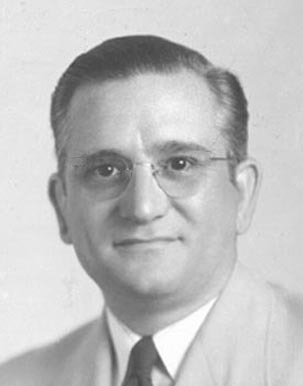 After Mr. Cooks death in 1969, Melvin R. Mayer became president and served until his death in 1988, at which time Charles E. White served as president until his retirement in 1998. The current president, Richard Mayer, a third generation grandson of the founder, Charles Cook, has worked for all three past presidents. Southwest Saw remains dedicated to providing the best possible service to its valued customers.